Delicious and healthy, honey is one of the best all-natural products used in the beauty industry. Thanks to its outstanding health-beneficial properties, honey can help counter various skin conditions such as acne, aging, pore cleansing, treatment for sunburns, and it is also ensures thorough skin revitalization. This makes honey an all-in-one organic tonic for both internal and external use. Due to its soothing and moisturizing nature, raw honey can be used to revitalize a sagging complexion. 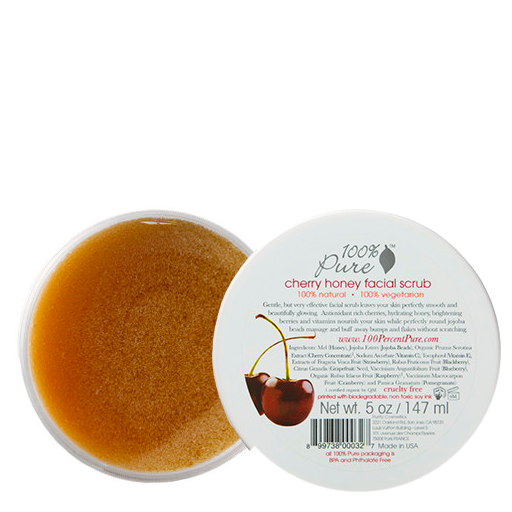 Honey also adds a touch of radiance to dry, parched skin. To get the most out of your delicious skincare routine, use honey as a facial mask. First, clean your face well with a damp cloth or wash it with water and light soap, then apply a thin layer of honey by gently massaging it into your skin. Leave the mask to sit for 30 minutes, and then rinse it off with warm water. What you’ll get is a silky, well-nourished skin that looks healthy - and feels good to be in, too. 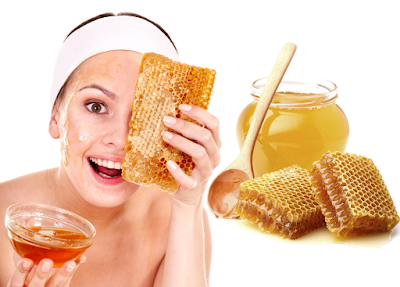 Honey also helps unclog blocked pores, so it will make a great home-made exfoliator. Prepare a paste with 2/3 honey and 1/3 baking soda (the latter will boost the exfoliating effects without causing skin irritation), then apply the mixture to the face, neck and other parts of your body in need of a quick dead cell removal regimen. Rub in the blend carefully, leave it on for about 10-15 minutes, rinse it out, and then enjoy a smooth, soft skin for weeks on end. You can always use skin care products that contain honey, too. Don’t forget to make sure they are 100% pure organic skin care products. Known for its antibacterial effects, honey is a perfect home acne preventive and remedy. In case of a severe breakout, apply a dab of honey onto the pimples using a cotton swab and leave it onuntil it’s dry, then wash it off. For persistent acne, a paste prepared from honey and cinnamon may prove to be helpful. Start the process by applying the mixture to the problematic area, and let it soak overnight. Wash your face with lukewarm water in the morning, and avoid makeup until the acne area clears. You can also boost the effects of this skin care regimen by adding several drops of tea tree and lavender oil to the mixture. Honey contains antioxidants, organic compounds that help prevent cell damage, combat inflammation, and minimize the negative effects of free radicals that lead to aging. For this reason, honey may prove an invaluable ally in prevention of wrinkles, fine lines, and acne scarring. Turn back the clock with a concoction prepared from honey and milk (or curd), and then coat over your face in a thin layer. Leave the paste to dry overnight, or allow it at least a couple of hours to soak. Rinse your face with lukewarm water afterwards, and check the mirror for the regimen effects. According to numerous medical studies, honey can also be highly efficient in treatment of sunburns and similar heat-induced wounds. With a range of antiseptic, moisturizing, and antibacterial effects, honey contributes to prompt healing of deep and/or large sunburns. For a speedy recovery,regularly apply raw honey to the vulnerable parts of your skin. You’ll find that time is not the only organic healer – honey’s just as effective, and it tastes great too. Whether you decide to use it in your diet or beauty regimen, you cannever go wrong with honey. A natural formula for overall well-being, the bee nectar will keep all your needs covered 24/7 with a premium quality film of sweetness and health. Amy Mia Goldsmith is a literature graduate from Melbourne who loves to write short stories and reviews. Amy is a regular contributor at High Style Life. Her passion is beauty and makeup and she loves to spend her free time travelling and of course – make up shopping! You can contact Amy on her Facebook page.